Your skin has tiny holes called pores that that can become blocked by oil, bacteria, and dirt. Some people call it blackheads, blemishes, whiteheads, pimples, or zits. 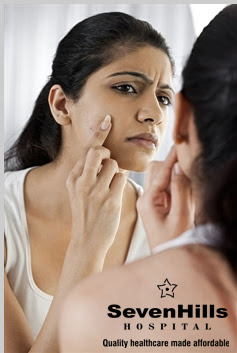 When you have just a few red spots, or pimples, you have a mild form of acne. If your skin is repeatedly affected by this condition, you may have acne. Although acne is not a life-threatening condition, it can be painful, particularly when it is severe. It can also cause emotional distress. Acne that appears on the face can impact self-esteem and, over time, may cause permanent scarring.